I know that Kätu already told you the story about how me, Annika and Mariann got trap in the old house, but I thought that I'd like to tell that story by myself, too. 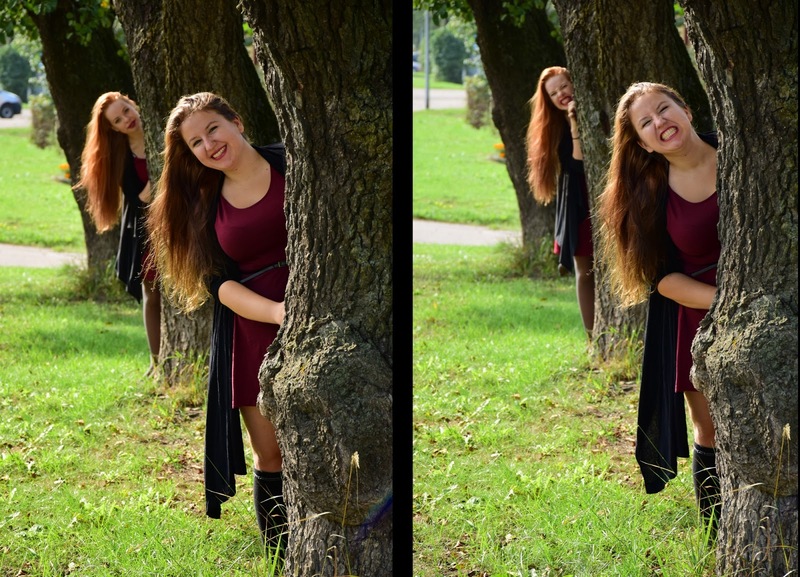 So, as my best friend Annika went for a year to UK to study, we decided to do our last photo shoot together. We picked out an old house and we got lucky, because one of the windows was broken and we had a change to go inside of the house. I really love old houses and this one was like a heaven, it was so beautiful, the colors were just amazing! Also I was a little bit scared, because after all it was an old house, and the roof was broken, but we took the risk and we knew that we were in danger. So, as the house was very big, we left our stuff near the entrance and went to discover the rest of the house. And then, when we were on the first floor, I saw a man, who came in exactly through the same window. Actually it was the only entrance which was in the ground floor. So I was worried, because all of our stuff, like camera and cellphones were there, when we went back, I discovered that all our things were thrown in to the corner. Like all of our thing were everywhere and they were dirty. And then we heard how that man close the entrance. I was so amazed, because I did't understand, how gown-up could do such thing, like, there are way better ways, how to solve this situation. But then all of it seemed so funny for me, they didn't say a word and we decided be quiet, too and just do some more photos. About an our later we had at least three plans, how to get out, we didn't want to brake anything, so we picked the most safest way to get out. On that day, the weather was so pretty, that we made some photos outside, too. I know, that both sides did something wrong , but I still don't get why they closed our entrance? At least everything went well, Annika is in UK, we got a gorgeous photos and an amazing story!